Get started on AccuWebHosting now. Get started on ResellerClub now. If you've come for reseller hosting reviews — whether you want to allot a portion of your hosting resources to others or you're looking to buy from someone who does — you've come to the right place. We've compared the best web hosting reseller programs and outlined our findings in the following summary table. Find the best reseller plans for cPanel hosting, WordPress users, and more below. Looking for something other than reseller hosting? Ready to resell? Before you open for business, read our final thoughts on web hosting reseller programs. Everyone wants to get online — but not everyone knows how. As a freelancer, I’ve struggled with a few especially clueless clients who were easily overwhelmed by the concept of web hosting. I dragged them through signing up for their own shared hosting account and hoped for the best. Looking back on those days, I wish I had started a reseller account — I could have eased everyone’s stress and pocketed a few extra bucks by providing their hosting services myself. If you’ve got an entrepreneurial itch, reseller hosting is a quick, affordable way to start a business. Whether you’re interested in web hosting, want to add a complementary service to your web design and development clients, or just want to find another way to make money, these reseller programs will give you a (hopefully profitable) peek into running your own web hosting business. First, What Is Reseller Hosting? Resellers basically sublease some of their server space to others. They buy hosting — typically a virtual private server, or VPS — from a provider for wholesale rates and configure and divide the server as they see fit. As a reseller, you set the retail prices and performance levels for your customers. Most web hosts offer white-label reseller accounts that mean you can sell hosting under your own brand. They maintain the infrastructure, but you run the business. Keep in mind, however, that running a hosting company means you’re on the hook for tasks like customer support and invoicing. Just like web hosting packages in general, reseller plans can vary widely in terms of the features and support they offer. You’ll definitely want to research what facets will resonate and be most effective for the hosting company you envision overseeing. We’ll get you started by naming some of our favorite hosts for common differentiators in the reseller market. Unlike some other hosts, the all-around-excellent InMotion won’t charge resellers for management tools, enabling them to pass the savings onto customers. The cPanel platform helps you manage clients’ accounts and resource usage, and InMotion will throw in up to 30 free cPanel account transfers when you sign up. WHMCS handles support ticketing and account management with billing and invoicing. One of the premier hosts in the game, SiteGround offers resellers the power of a proprietary caching system, SSDs, and access to CloudFlare’s CDN — features that will set your hosting services apart from others. SiteGround has always been strong with WordPress, which can be challenging to host just right. Beyond the 1-click installer, SiteGround is among the few hosts who provide automatic updates, a command line management option, and a staging environment. InMotion’s SSDs are one of many reasons we highly recommend the provider for so many hosting needs. The popular feature boosts performance up to 20x faster than traditional hard disk drives, and your customers will appreciate the added perk, in addition to top-notch DDoS protection, unlimited email accounts, and free, automatic backups. InMotion’s 90-day money-back guarantee on reseller accounts gives you plenty of time to make sure your reseller business will succeed for the long haul. SiteGround knows how to provide superior email hosting for both you and your clients. Reliable email is critical for your business and the projects you’ll be hosting for customers. Enjoy unlimited free email addresses per domain, along with forwarders and aliases that let your customers receive their email in any mailbox they choose. Compatible with multiple webmail and email clients, SiteGround gives resellers security and anti-spam solutions with 99.9% uptime. 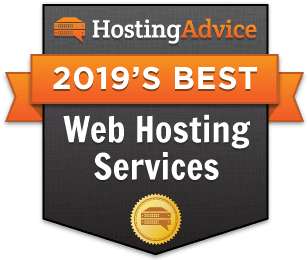 Just as we believe HostGator is the best host to grow with for novice web hosting customers, we know HostGator will help your reseller business be a rousing success. The veteran provider includes unlimited domains, emails, MySQL databases, and FTP accounts, giving your reseller account the utmost flexibility and scalability. More than 400 tutorials will show you and your customers how to handle any issues that arise. It stands to reason that since we consider InMotion one of the top VPS and dedicated hosting providers, we also believe InMotion’s top-tier infrastructure will handle your reseller business and anything your customers can throw at it. Boasting free server management for patches and updates, enterprise-grade CentOS, real-time redundancy, and kernel updates without reboots, InMotion’s 99.999% net uptime means you won’t lose a minute of profit. You know the saying: “If it’s too good to be true, it probably is.” That’s the case with free reseller hosting. Yes, free reseller accounts exist. No, they’re not worth your time or money. You wind up paying for your reseller account in the long run by hosting advertisements or suffering through unhelpful (or nonexistent) support and outdated infrastructure. Trust us, you’re much better off with a reputable host — they work hard to earn your business and keep costs as low as possible. Sign Up With a Reseller Host — or Become One — In Minutes! Since I already had a full-time job, I would use freelance projects to supplement my income and keep my skills sharp. Had I set up a reseller account, my prices to clients would have been quite reasonable. Because I was already profiting from the development and design services, I would probably have been closer to breaking even on my reseller hosting than more established firms or even shared hosting plans. Check around to see if you can find a friend or colleague who will host your site on their reseller account. Save money while exploring if the reseller route is right for you!